I found this interesting website about malls from the 80’s. You have to look at the photos. I can’t believe people are smoking in a public place… and the hair! Wow, did we ever use a lot of hairspray in the 1980’s! Like many teenagers growing up in the 80’s, going to the mall was such a big event. I remember going on a big family trip to West Edmonton Mall for back to school shopping. It was so important that we get those acid wash jeans from the largest mall in the world! They were and still are the meccas of consumerism. 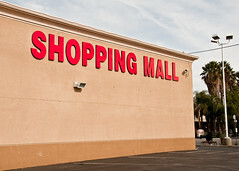 You have to check out the photos on this site – Flashback to the Timeless Malls of the 1980s. Earth tones were definitely king! I remember the fancy malls with the water fountains. I recall the decor of the 80’s mall having a lot of glass and brass. 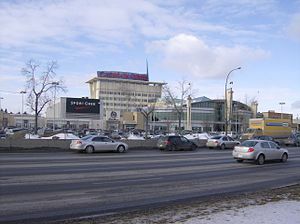 West Edmonton Mall – Yep, the biggest. It’s pretty much a shrine to Alberta in the 80’s. 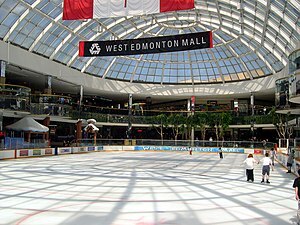 As kids we thought it was very cool to have a rink inside a mall. It’s still quite a tourist attraction and I don’t think locals venture out to shop there very often. Bower Place mall in Red Deer – I remember a lot of brown, earthy-tone brick and I remember that I loved the fact that it had a Le Chateau in the 80’s – so awesome! I loved shopping there in the 80’s as a teenager. How many of you remember Mariposa near the food court in the 1980’s? Chinook Centre – I remember when part of this mall was actually a strip mall. It has been renovated so many times since the 1980’s. The only place that somewhat resembles the 1980’s is the area by the Hudson’s Bay entrance. Mini Mall in Olds, Alberta – Yes, there was a mall in Olds. I think the Mini Mall is still there on main street. I remember it had a cool t-shirt shop in there in the 1980’s. It was Black Friday a few days ago. This American tradition has crept into Canada. Is that a bad thing? If you like getting a cheap deal and hanging out in mall all day. There are many people that see shopping as a hobby… even a sport. I am not one of those people. I don’t find shopping that fun. If I could afford a personal shopper I would definitely sign up for one. Do you have any mall memories from the 1980’s? I would love to hear about them!